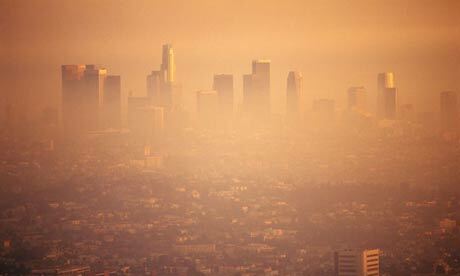 Pollution to us means car exhaust, smog, dirt, grime and pollen. And these elements clogging and dirtying the skin. Unfortunately, pollution is also a constant in our lives, wherever we live. But did you know that pollution can go beyond surface grime to actually damage the skin? While it’s commonly known that UVA and UVB rays are a key factor in premature aging, pollution can also be a major contributor to the skin aging process. In the Journal of Investigative Dermatology, it was shown that pollution contains tiny contaminants called ‘polycyclic aromatic hydrocarbons’. When these come into contact with the skin, they trigger the production of free radicals. Think of free radicals as starving ‘hyenas’ that roam the surface of your skin, looking for healthy skin cells to scavenge and ultimately disrupt. Disrupted skin cells equals a weakened, compromised skin barrier, which can lead to sensitized, irritated, prematurely aging skin. To truly stave off the effects of pollution, cleansing is just a first step. In Asia, where pollution, smog and pollen can be particularly bad in the spring months, skincare has had multiple recent developments in the anti-pollution treatment category – anti-pollution skincare has definitely gone leaps and bounds beyond cleansing. When we found this product, we were over the moon. The refreshing, evenly dispersing micro-mist that quenched parched skin was just a bonus. Formulated with antioxidant rich Lotus extract (from the root, seed and petals) and Baobab extract, it’s core benefit is to help nullify the effects of pollution. It also creates a lightweight, invisible layer on skin that creates a defensive layer on skin. 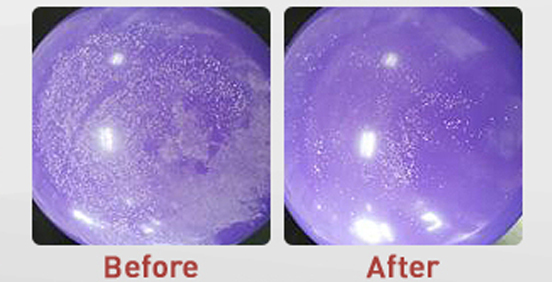 We’re amazed by the above photos from Enprani, where a balloon sprayed with the Bye Dust Mist (on the right) is less contaminated after a day’s exposure to the elements, than the balloon without it. 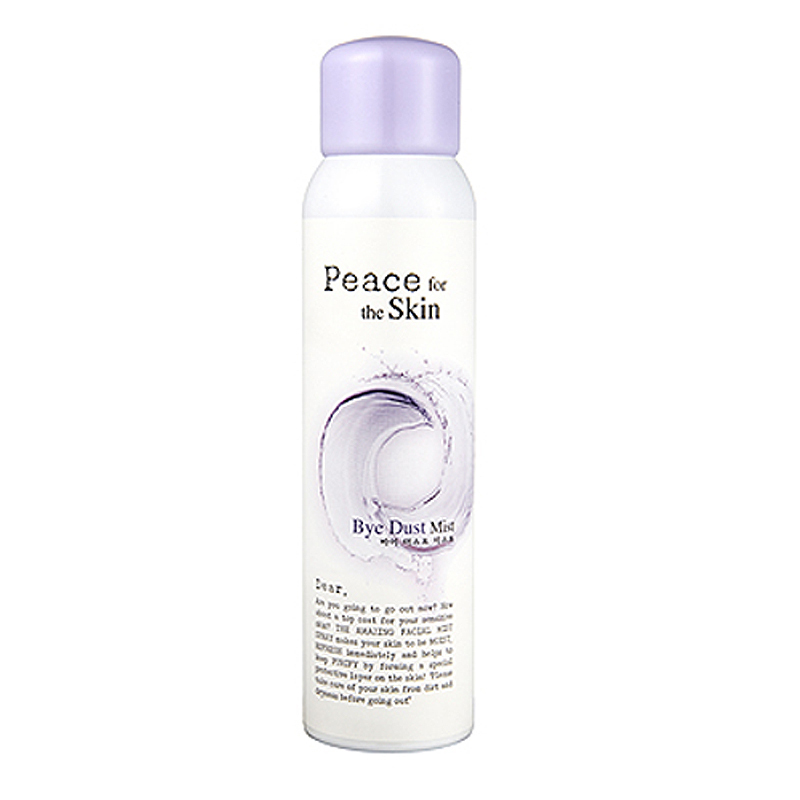 Think of it as a protective yet nourishing ‘topcoat’ for skin – and our tester panel affirmed that after using the Bye Dust Mist, skin felt cleaner, softer and healthier at the end of the day. Antioxidants help to neutralize skin cells that are destabilized from free radical exposure and are a must-have step for daytime skincare. Examples of antioxidants are vitamins, peptides, teas and botanicals such as Rose. Created only with the highest grade Bulgarian Rose Oil (3000 hand-picked petals are required to extract just 1 oz of oil! ), it has 20x more Vitamin A than a tomato and 17x more Vitamin C than a lemon. 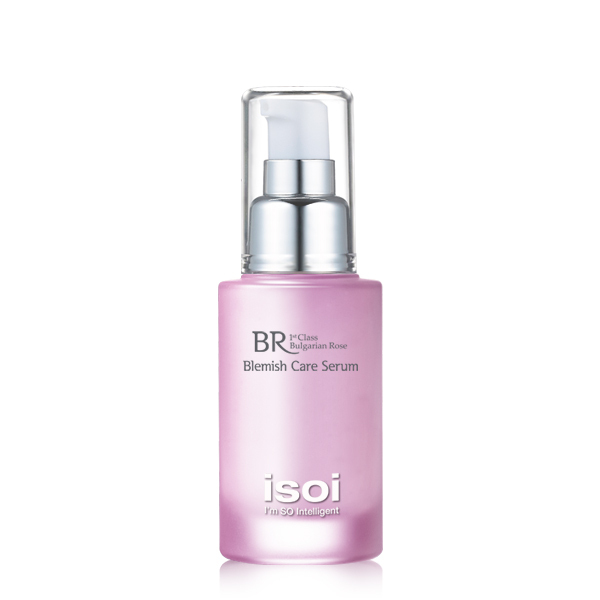 This lightweight serum is great for layering on before your moisturizer during the day time. If you are using a day-time antioxidant, you are on your way, but the picture is only complete with a solid broadspectrum sunscreen that you feel comfortable using daily. UV is still the runaway top contributor to skin aging so using a SPF 30 or higher daily is critical to keeping skin healthy. Questions, comments or feedback? Email us at love [dot] glowrecipe [dot] com, anytime.